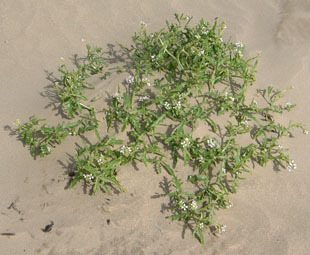 It is found all round the coast. 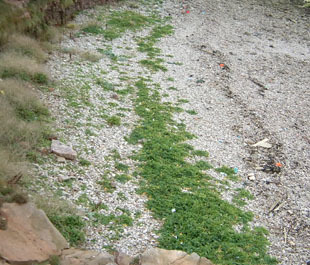 sandy beaches and dunes close to the beach. 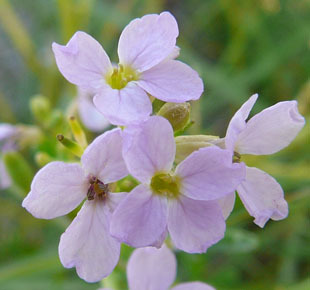 Flowers are 4-merous, ranging from lilac to white, and up to 2cm. 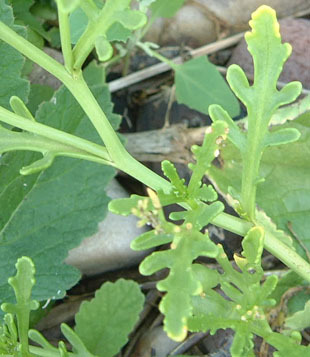 The leaves are greyish, fleshy and pinnately lobed. 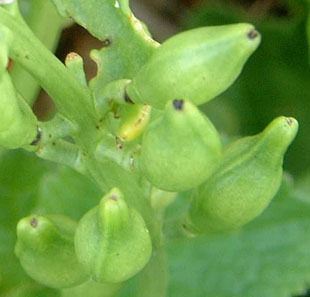 Pods are bulbous and in 2 segments. 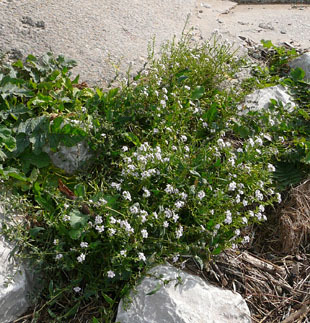 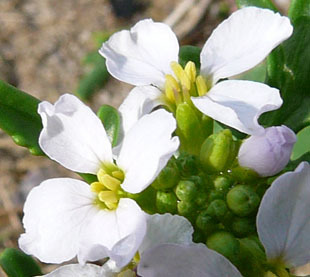 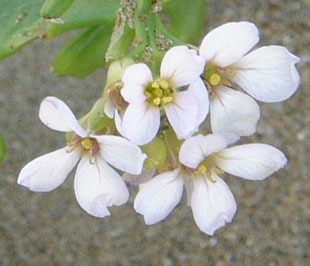 Sea Rocket has a long, anchoring tap root.